Alex Trebek has pancreatic cancer and some of us immediately flashed back to other people we’ve loved who have succumbed to pancreatic cancer. Some of us had no idea how sad we would be if ever Alex Trebek was diagnosed with a life-threatening disease. Stage 4. Some of us find him to be a bit full of himself. But he is Alex Trebek. And now we are having cancer together. Only Alex will endure the wicked treatments and bodily betrayal of course but we will be watching and preparing with him. This is not like a sudden overdose or a stroke. This is not going to be one of those shocking celebrity deaths where one day a person is filming an episode of Riverdale and the next day there’s a Special Announcement with people expressing sudden sorrow on Twitter. Cancer is a mystery that manifests itself in an array of nasty expressions and nobody’s cancer is exactly like anybody else’s cancer. 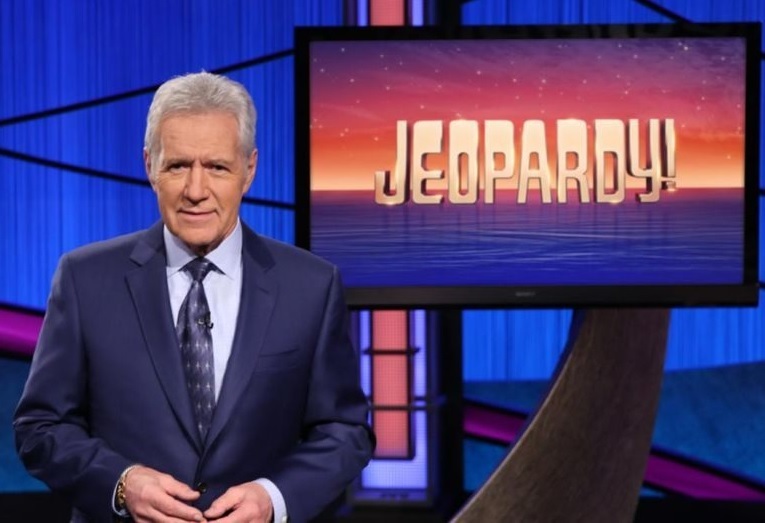 But – again – Alex Trebek is someone we have watched and will continue to watch – perhaps on a daily basis. Maybe he will lose his hair. Maybe he will lose that “Sorry, you are an idiot” attitude. Maybe his voice will change. We will be there with him. This is Day Two of Lent and I’m reminded that part of being in community with people is that we sit together in crappy times. We hold hands and pour drinks and have a good cry and try to laugh a little too. We try to say and do the right things. We yell at God. We ache. Your cancer is my cancer. My heartbreak is your heartbreak. We get through things together as best we can. This is Lent. We have life-threatening experiences together because God created us to be in community. We ask questions even though – as people of faith – we already know the answers. Image of Alex Trebek, the host of Jeopardy.